These amazingly simple short bread cookies are equal parts delicious and pretty! Thumbprint cookies are easy and fun to make! Perfect for any type of celebration! 1. 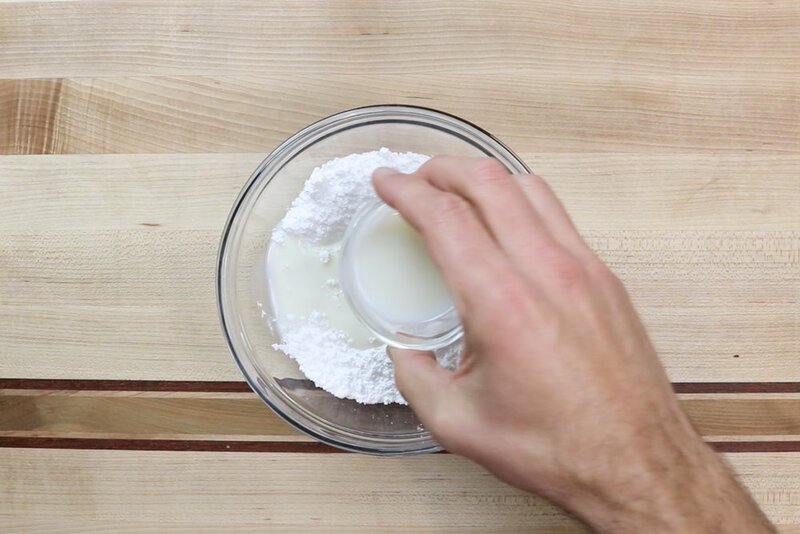 In a medium bowl, whisk together flour, cornstarch, and salt. Set aside. 2. In a large bowl with a hand mixer or the bowl of a stand mixer, add butter and beat until creamy. Scraping down the sides when necessary. 3. Add sugar and brown sugar and beat until well combined. 4. Add egg yolk, vanilla and almond extract. Beat until combined. 5. With mixer on low speed, slowly add flour mixture to wet ingredients until completely incorporated. The dough will be dry and should barely hold together. 6. Use your hand at the end to make sure it stays together. Add a small amount of milk to the dough if it is too crumbly. 7. Scoop cookie dough into tablespoon sized balls and roll so the ball is nice and smooth with no cracks. 8. Roll in sugar and place on a baking sheet lined with parchment paper. 9. Use your thumb or the rounded back of a teaspoon to gently press an indent in the center of the cookie. 10. Transfer the uncooked cookies to freezer and chill for 30 minutes. 11. Preheat oven to 350 degrees. Heat preserves for 5-10 seconds in microwave to thin. Add preserves to thumbprint using a pastry bag or with a spoon up to the rim of the indentation. 12. Bake for 10-12 minutes. Do not over-bake. Allow cookies to cool completely on baking sheet before adding glaze. 1.. Add powdered sugar to a medium bowl. Slowly add the milk until mixture is smooth and there are no lumps. 3. Transfer glaze to a pastry bag and decorate cookies. 2. Add vanilla, and corn syrup and mix. Mixture should have the consistency of honey. 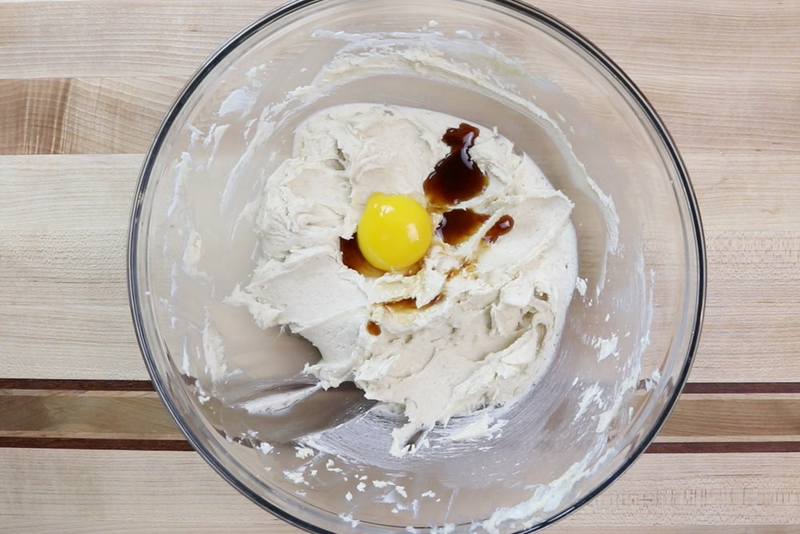 In a medium bowl, whisk together flour, cornstarch, and salt. Set aside. 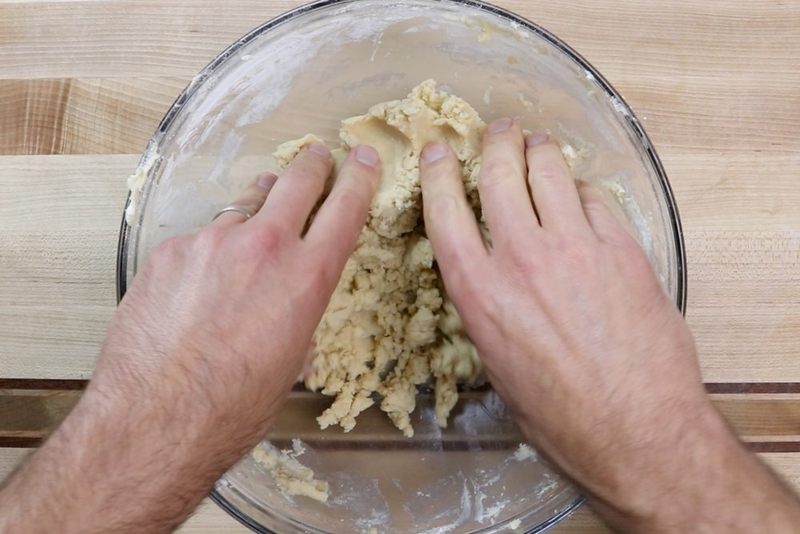 In a large bowl with a hand mixer or the bowl of a stand mixer, add butter and beat until creamy. Scraping down the sides when necessary. Add sugar and brown sugar and beat until well combined. Add egg yolk, vanilla and almond extract. Beat until combined. 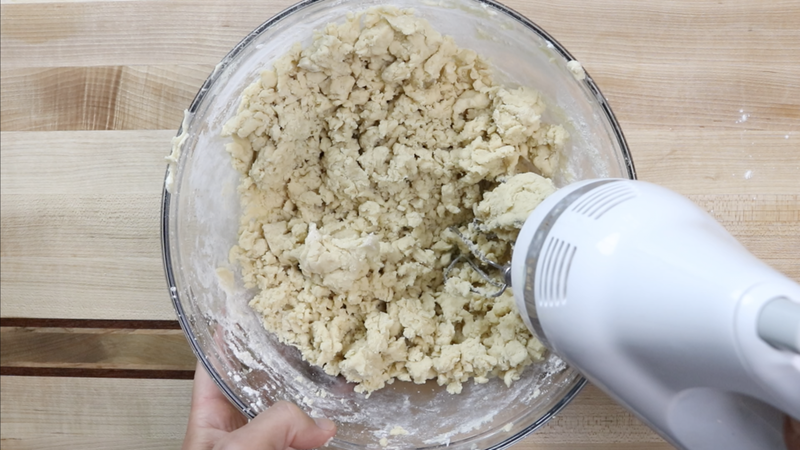 With mixer on low speed, slowly add flour mixture to wet ingredients until completely incorporated. The dough will be dry and should barely hold together. Use your hand at the end to make sure it stays together. Add a small amount of milk to the dough if it is too crumbly. 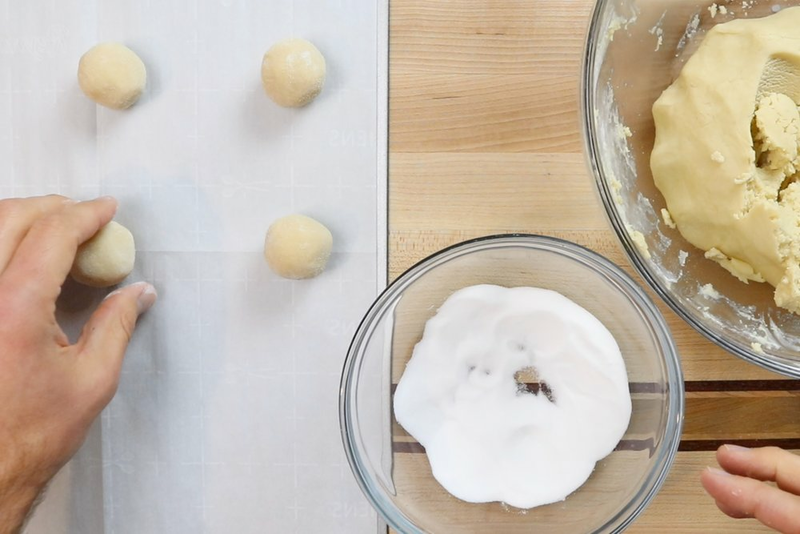 Scoop cookie dough into tablespoon sized balls and roll so the ball is nice and smooth with no cracks. Roll in sugar and place on a baking sheet lined with parchment paper. Use your thumb or the rounded back of a teaspoon to gently press an indent in the center of the cookie. Transfer the uncooked cookies to freezer and chill for 30 minutes. Preheat oven to 350 degrees. Heat preserves in microwave for 5-10 seconds to thin. Add preserves to thumbprint using a pastry bag or with a spoon up to the rim of the indentation. Bake for 10-12 minutes. Do not over-bake. Allow cookies to cool completely on baking sheet before adding glaze. Add powdered sugar to a medium bowl. Slowly add the milk until mixture is smooth and there are no lumps. Add vanilla and mix. Mixture should have the consistency of honey. Transfer glaze to a pastry bag and decorate cookies.